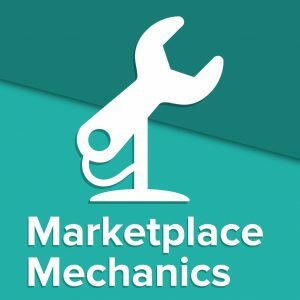 Marketplace Mechanics is now LIVE! I’m delighted to release Episode 1 of the show, which features my good friend Daniel van Binsbergen (@DvanBins). Dan is the Co-Founder & CEO, of Lexoo, and we’ve been chatting with each other about our respective marketplaces through 2017. I learn something new every time we talk, and I’m so happy to be sharing some of Dan’s insights with you today. I’m treating Marketplace Mechanics very much like a startup. Episode 1 is a Minimum Viable product, and I am hungry for your feedback. Am I asking good questions? Is the episode too long, or too short? Please do share the podcast with anyone who might be interested, and you can subscribe through iTunes, Stitcher and Soundcloud.